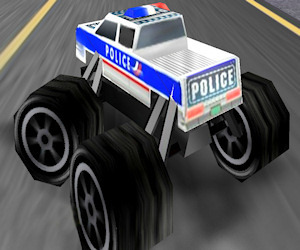 Description A cool 3D racing game with Police Monster Trucks. Drive on tracks in Las Vegas, New York, Rome and Paris. Race on all the tracks or pick a single track to set the fastest time. Controls Use the arrow keys to drive.